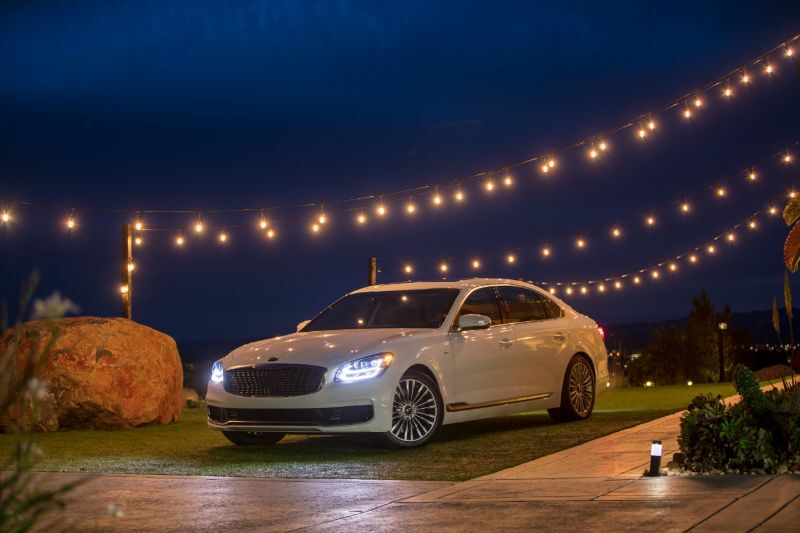 The 2019 Kia K900 is the second generation of the luxury sedan, giving drivers an updated vehicle to drive around town whenever they want. Thanks to features like emergency braking and twin turbochargers, Kia says that the latest K900 is the automaker’s most advanced vehicle to date. Compared to its predecessor, the 2019 K900 is a bit longer and wider. It takes on a more modern shape that seems less formal, focusing more on the Cadenza family sedan’s styling than that of the Stinger sport sedan. The front features an oblong grille with a unique horizontally ribbed texture. You will also find LED accent lighting in front with complimentary LED taillights at the back. Between them, the side panels feature understated stamped lines. Inside, you will notice stitching on the door panels and a wood-trimmed dash that holds a high-resolution display as well as slim-mounted vents. 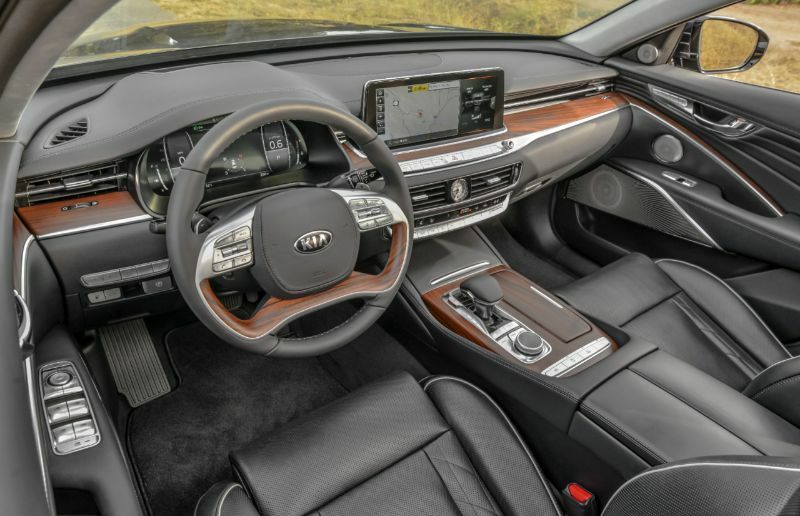 Driving the 2019 Kia K900 gives you access to a 3.3-liter twin-turbocharged V6 engine, the same one found in the Stinger sports sedan. 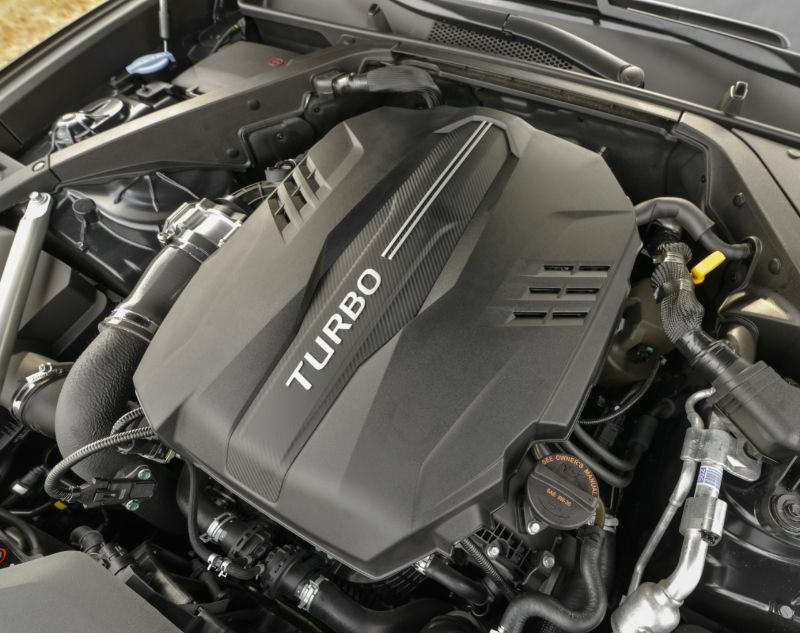 This engine works with an eight-speed automatic transmission and delivers 376 pound-feet of torque along with 365 horsepower. The K900 uses an all-wheel drive that can divide the power between the rear and front wheels when required. The torque split is biased towards the rear, with the ability to move as much as 50 percent of the power to the front to maximize traction balance. When in Sport drive mode, as much as 80 percent of the power goes right to the rear wheels. 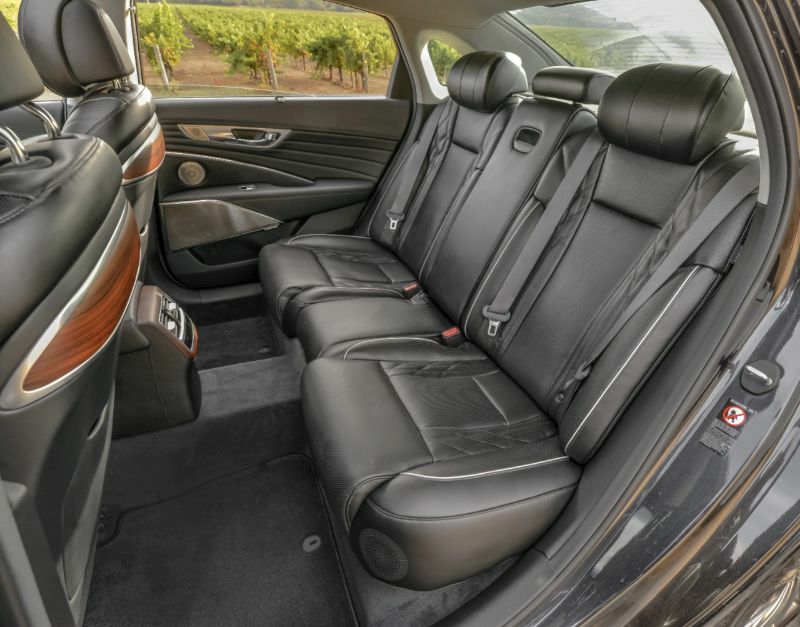 The K900 is the biggest sedan from Kia, so it should come as no surprise that there is extensive interior space. The front seats can come with 20-way power-adjustment for the driver and 12-way power-adjustment for the passenger. They also have cooling and heating. The outboard rear seats can feature 12- or 14-way power-adjustment, cooling, and heating. Adding in a certain package will give rear-seat passengers the ability to adjust climate controls. You can also upgrade the leather-trimmed interior to feature Nappa hides and wood trims. Regardless of how you configure the K900, the dashboard features an analog clock, and there is ambient lighting that shifts colors. In terms of technology, the K900’s touch screen includes smartphone connectivity with both Android Auto and Apple CarPlay. Navigation comes standard, and you can add in remote controls via an application, including remote start. You can also swap out the standard 7.0-inch gauge display with a 12.3-inch screen, add a head-up display, or get surround sound with 17 speakers and 900 watts. Given its high place in the Kia lineup, the 2019 K900 comes with a full array of safety features, including advanced options. You get blind-spot monitors, side-view cameras, a surround-view camera system, forward-collision warnings, automatic emergency braking, and active lane control. The K900 even has sensors that warn you not to open the door when there is traffic. 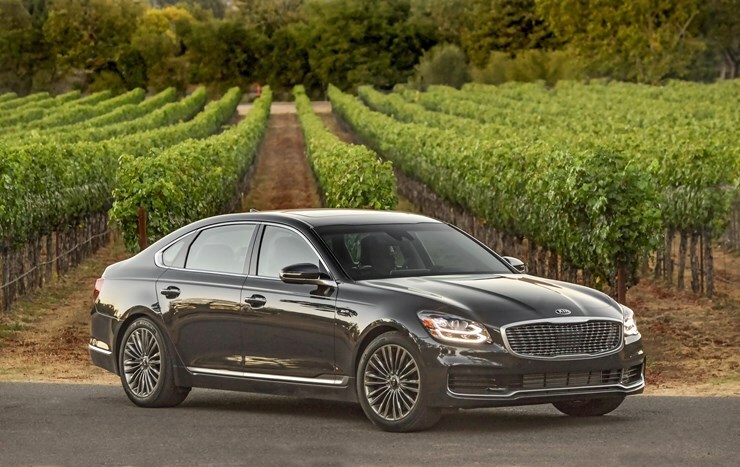 Although it has not yet been tested, experts predict the 2019 Kia K900 will earn top scores in terms of safety from the NHTSA and IIHS.